In a July 2,2013 Treasury Department blog post, Assistant Secretary for Tax Policy, Mark J. Mazur stated” The Administration is announcing that it will provide an additional year before the ACA mandatory employer and insurer reporting requirements begin.” In other words the “pay or play” tax has been delayed for one year. Those commenting on sites from the Wall Street Journal to the Washington Post echoed similar sentiments of skepticism about the entire Affordable Care Act. Many people still don’t like the law or don’t think it will work. But there is more to this newest move than the general public can see. The Austin Statesman brought up an important point, “Democrats are defending 21 Senate seats to the Republicans’ 14, and the GOP had already started to excoriate Senate Democrats who had voted for the health law in 2009.” Couple that with this statement from NBC News, “98 percent of firms with 200 or more employees (already) offered health insurance”. Delaying the “pay or play” tax will appease many business owners. The delay will give politicians up for election the appearance of being empathic to the needs of the public. 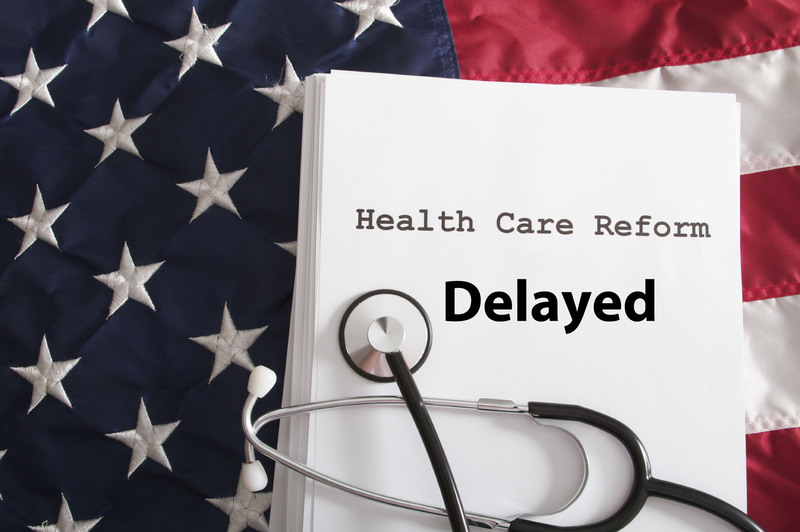 And the delay will give Health and Human Services, the IRS and the Department of Labor time to focus on implementing the health insurance exchanges. It would be safe to say that this was a pragmatic move on the Administration’s behalf. But what does this mean for large businesses (those with 50 or more employees). In his blog post, Assistant Treasury Secretary Mazur stated that more details would be coming soon. However he did state that reporting of insurance cost will be strongly encouraged. So employers are still being asked to report the amount of money that is being paid for employees’ health insurance. This will be reported on the employees’ W-2 in box 12. Ask yourself why in the world the IRS wants to know how much you are paying for health insurance? Here is my opinion. If the IRS knows how much individuals are paying for insurance, that information can be used by the Health and Human Service Department and the IRS to set the “pay or play” tax at a rate that will more strongly encourage employers to offer a level of healthcare that the government sees as necessary. In other words, HHS and the IRS could set the $2,000 annual penalty at a higher rate to more strongly encourage employers to NOT drop healthcare coverage. Some employers see the $2,000 penalty as a cheaper option than paying for healthcare for employees. What if the penalty was $6,000 per employee, would that change the decision of employers to offer healthcare? If the IRS is asking for the cost information now, the government intends on using it for something. I can help you with the goals in your life. The move by the Obama administration is purely political. They fully understand that full enactment of this law will ensure that the Democrats would not retake the House in 2014. Considering the Supreme Court stated that this law is constitutional as a tax then I do not understand how the administration has the authority to effect tax law. Per the Constitution only the Congress can initiate any changes to tax law. That’s a good point, but it’s all in the way the ACA is written. The original law is less than 1000 pages. It is written in such a way that it gives a lot of latitude to the IRS, HHS and the DOL. The are not changing the law. They are interpreting it. Crafty law writing isn’t it? I understand the intent when it was written. However, the Administration argued that the penalty was not a tax and the Supreme Court stated that the only way the law is Constitional is due to the fact that the penalty is a tax. I would not use the word “crafty” instead I would use sinister. The individual mandate is an un-enforceable penalty and that is what the Supreme Court ruled on. The “pay or play tax” IS an enforceable tax on businesses. If that is the case, then the enforceable tax is not being enforced for none other than election year politics. It stand by my original point.